Alex seen first-hand the impact that public speaking can have across all areas of your life. At 22, he travelled across the UK speaking at some of the best academic institutions in the world for a small start-up he co-ran. The result? Over £12.5 million raised, a company that grew to 250 people and multiple national awards. 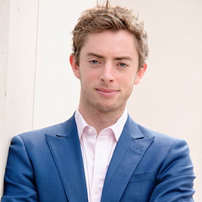 Since then, he founded TEDxClapham (an offshoot of the world famous TED talks), and set-up a speaking coaching business where Alex have personally trained and mentored hundreds of people by transforming the way they communicate. He want to give a voice to those who have something valuable to share and help them to become industry leaders by landing and smashing life-changing speaking gigs. His VIP client list includes business leaders, scholars, authors, coaches and a world champion boxer.